Locating, evaluating, and negotiating home purchases exclusively for buyers. We have been representing home buyers for a quarter century. At A4HB, we are 100% Committed to Home Buyers…and it shows. How does the team approach benefit me? you need us. Yes, anytime. No matter your budget, if you are looking to buy a home, we can help. By using our buyer-focused, team approach we will help you work your way from confusion to clarity as you navigate the home buying process. Allow us to guide your journey from initial search to closing using our data-driven market analysis, systematic search process, step-by-step tracking systems and extensive real estate experience. 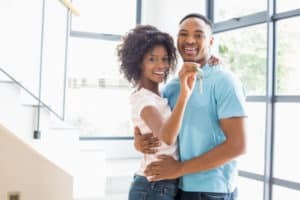 My Husband and I had the best experience when purchasing our home in February 2018. We worked with Shannon, Norris and Lindsey with the Agents for Home Buyers team, they helped us find the perfect home and walked us through the whole process from start to finish. They made the stressful process of purchasing a home very seamless and easy. We love our home and are so grateful to have found such a caring and professional team. Norris Minick and Lindsey Wolf Lunney are knowledgeable, efficient, and caring buyers’ agents. With their expert advice and service, we were able to find a home in the Boulder area the very first day we spent viewing homes. They advised us on every detail of making a home purchase–putting together an offer, setting up home inspections, and even arranging financing. They are compassionate people who listen to what the buyer wants. Highly recommended! We were so fortunate to have this team helping us to find a rental property in an extremely competitive market. Norris did a tremendous amount of research on the trends in real estate prices over 1-, 5- and 10-year periods in different counties in Colorado. They then did a mass mailing to various desirable neighborhoods and got a couple of responses that led to the property we have now. I can’t say enough great things about Lindsey and Norris! As first-time home buyers, we relied heavily on Lindsey and Norris. They were timely, thorough, professional, trustworthy and a joy to work with! My husband and I are so happy with our first home in Lafayette! I highly recommend using Agents for Home Buyers for your next home purchase! Great team. We appreciated the well-organized information and analytics so that we could make a decision of both the brain and the heart. Very nice people, fun to look at houses with, interesting to talk with and very good at looking out for us, the buyers. We also appreciated their strong ethics. Even for a first-time home buyer, Lindsey and Norris made it as easy and stress free as possible. Very easy to work with, flexible and professional. They provide you with a lot of analytics and data on the market, which really helps you understand the overall market and gets you looking at properties in areas you would like to investigate. Since they work as a team, it’s easier to schedule and view properties. The people they recommended for home inspection, as well as the lender, were also great. Overall, they made the home buying process very smooth. Lindsey and Norris were wonderful agents for us. They helped us to get into a house quickly we are now living happily in our first choice for a home! Both Lindsey and Norris were quick to respond to our requests and questions and helped guide us through the process of our first home purchase by simplifying the process. We highly recommend these two when you begin your search for a new house. Lindsey and Norris are the best! They listened carefully to the questions and concerns of first-time home-buyers with patience, provided helpful insight when we were uncertain of what to think, explained things about the housing market in a way that was easy to understand, and they had so much data to help us make informed decisions! They were also quite responsive and easy to work with. I always felt like we received excellent attention and never felt like we were pushed back for bigger clients. Are you ready to be HOME? 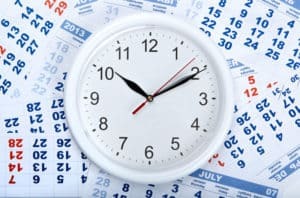 What Time of Year Do Prices Increase? by Norris Minick When people hear that house prices are going up 12% a year, most assume that they are going up about 1% a month over the entire year. As we’ve told our clients for years, however, that’s not how it works. Our office is in Boulder, Colorado. We work extensively in the surrounding area as well, including Superior, Louisville, Lafayette, Broomfield, Erie, Longmont, Lyons, Berthoud, Firestone/Frederick, Thornton, Westminster, Arvada, and Golden…as well as the plains and foothills areas near these towns. We work with residential buyers who are either buying a home for themselves or as an investment property. We never handle rentals, and we don’t work with commercial, retail or industrial properties. We can help you purchase a condo, townhome, or single-family home, whether from a builder or from the owner of an existing home. Whether your target price is $200,000 or $2,000,000, we can help you find the right home and buy it right. All of the brokers on our team work for you. Someone is on call evenings and weekends to show property, write contracts and answer your questions. Meanwhile, at least one other broker is usually available, providing seamless backup when needed. Your home search won’t miss a beat. If you decide on a community that’s out of our area, we will be happy to refer you to other agents who will be able to help you.